I lead the Client Success team at PossibleNOW. I help our clients get started on their recipes for ideal preference management and privacy compliance. When it comes to creating a Preference Center, some clients take on just a small bite in order to meet compliance regulations. Other clients want a full buffet that offers their customers a wide array of choices, a little something for everybody. Whether offering a small bite or a full buffet, they all agree on this - the one thing everybody wants left off the table is spam. Spam produced via any communication channel tastes bad on both sides of the table. Customers are annoyed by it. Companies see it as a waste of money and resources and they don’t want to waste either of those on someone who will never be a customer. Capturing and maintaining a customer database can be costly. Driving customers away with untargeted communications is costly too. It’s not about getting the message out to everybody; it’s about getting the message to the right people in the right way. Too many companies don’t understand that simple point when building a preference center. I worked with a global company as they were restructuring their preference center. This company has a complex product set that includes business-to-business as well as business-to-consumer products. They originally had a basic "unsubscribe" page that met minimal compliance requirements – consumers had the choice to opt-out of receiving emails... ALL emails. This left the company with no way to target their communications campaigns. With such a vast product line and very different customer sub-sets, this system was not effective. The solution was to start with a couple of core business units to test the waters and learn best practices that can eventually be implemented across all divisions and brands. They started with a preference center that offered options by product line and then added a layer that provided opt-down options. Instead of giving customers just one option, receive communication or not, the company’s new system allowed customers to specify choices based on their most relevant needs. Within two months of implementing the new preference center, this company saw a 30% reduction in opt outs, simply by giving customers the choice to customize their communications. Give customers a tailored menu, serve them what they want, and they’ll walk away satisfied. 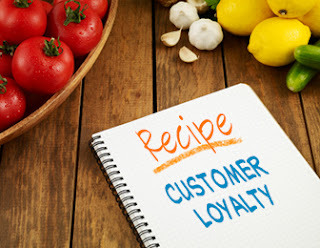 Loyal customers want to engage with the brands they trust and like. The key to success is giving them a way to customize their experience with the company to maintain, and even build, that loyalty. Sandy Tafur is the Manager, Account Management at PossibleNOW.